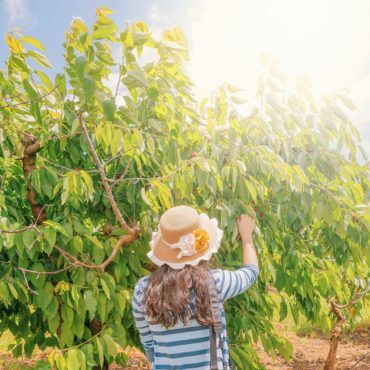 Owned by the Eastlake family since 1862, Fairfields Orchard is just 10 kilometres from Young and is a multi-generational farm producing the highest quality cherries and strawberries to meet stringent export market standards. They pick their fruit when it’s ready to be eaten to ensure the best appearance and size as well as maximum sweetness, flavour and shelf-life. They grow many varieties of cherries, available direct to the public from mid-November to late December. Come in, meet their family and ask them about their favourite varieties, they might be able to help you find that golden-oldie or perhaps a new favourite. They recommend you taste their cherry selection to experience the many differences in flavour, texture and sweetness. Every year they welcome people from all over Australia and love to chat with new travellers as well as their regular visitors.